Joe Dickinson sent the first of a two-part series photographed in California. His notes and IDs are indented. 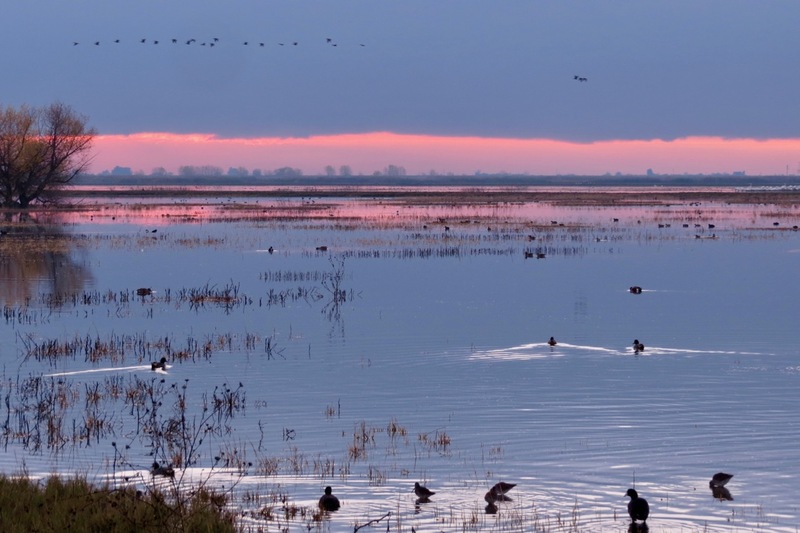 Here is the first of two sets from a recent trip to the Merced National Wildlife Refuge over in California’s Central Valley. 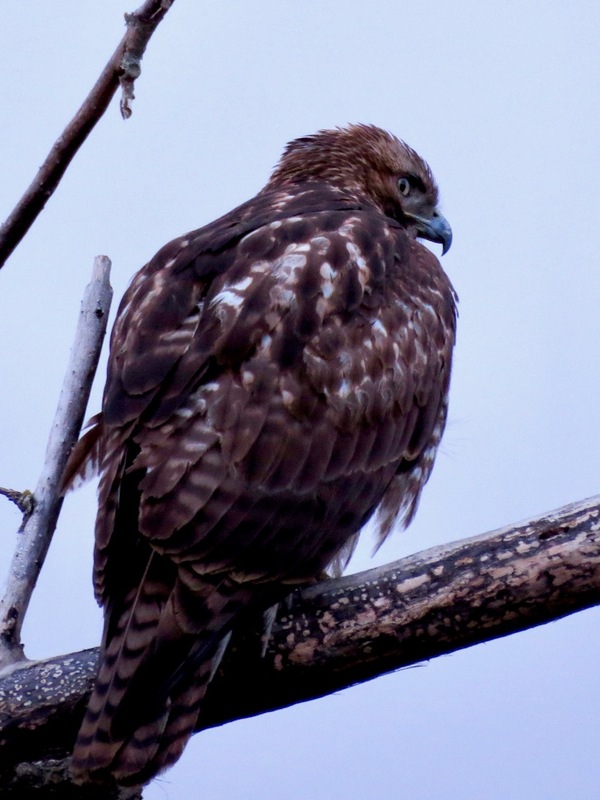 I think this is a juvenile red-tailed hawk (Buteo jamaicensis) but would be happy to be corrected by one of your more knowledgable readers. 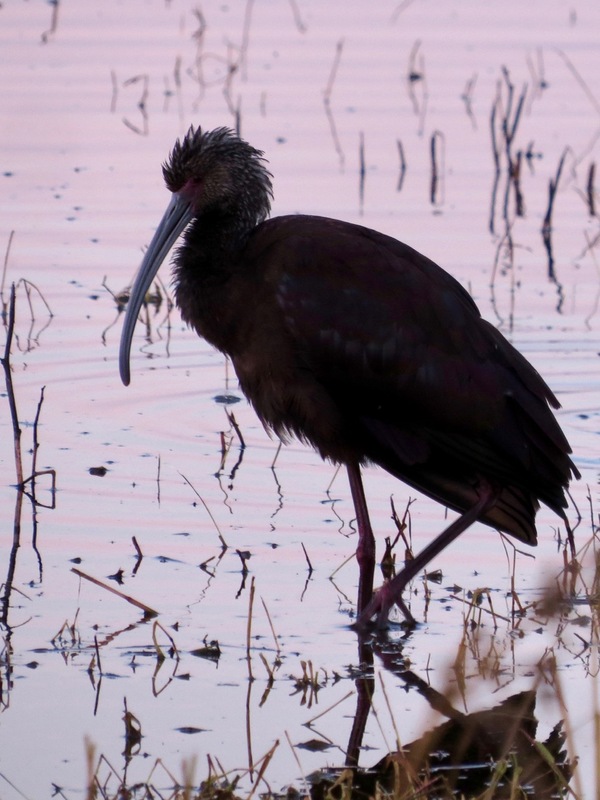 This is a strongly backlit white-faced ibis (Plegadis chihi). They were present in good numbers, but we never saw them in flocks. 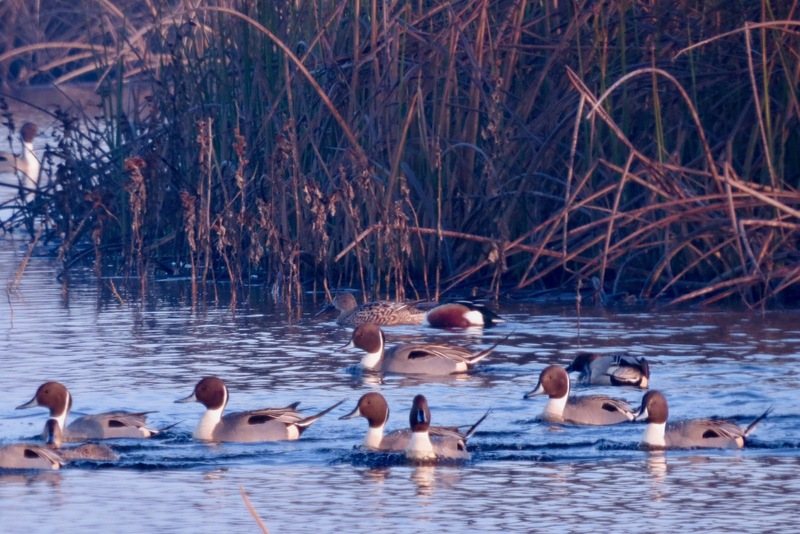 The most common ducks were northern pintails (Anas acuta) and northern shovelers (Anas clypeata), of which one pair (male with head down) can be seen center back. 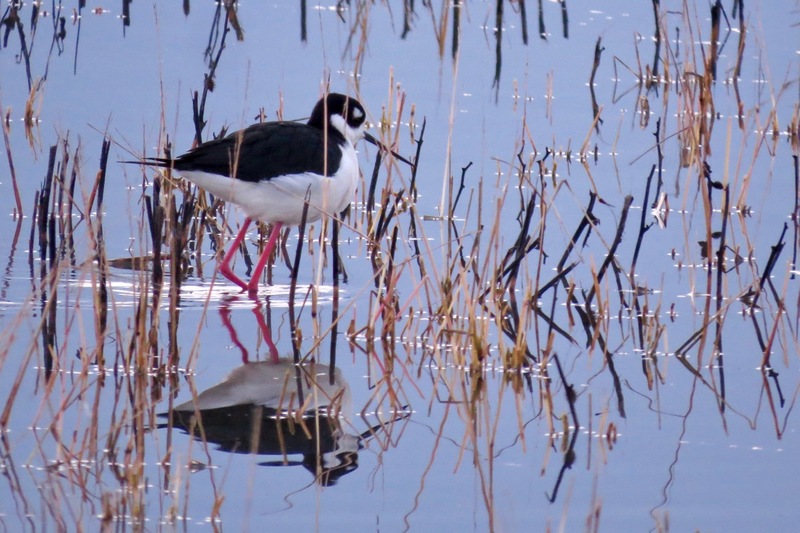 Black-necked stilts (Himantopus mexicanus) seemed to be the most common wader. 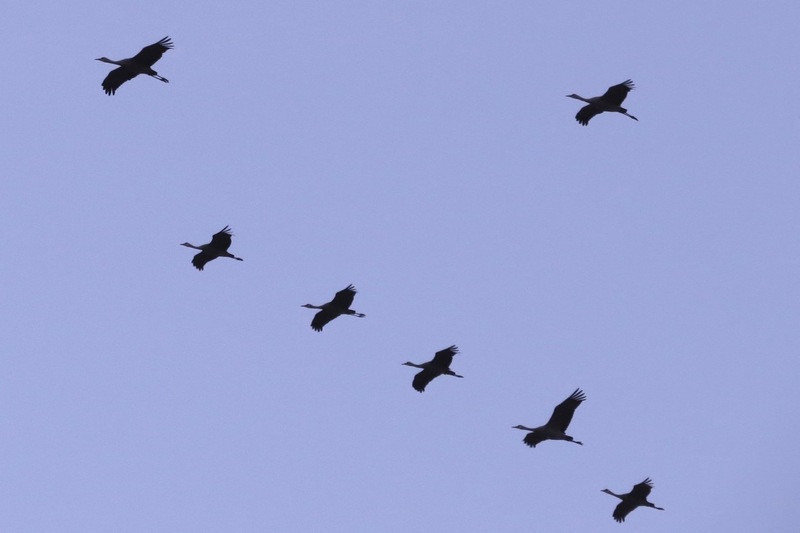 We saw hundreds, perhaps even thousands of Sandhill cranes (Grus canadensis). They seem to avoid the auto tour route when landing, so sightings of cranes on the ground were distant and yielded no worthwhile photos. 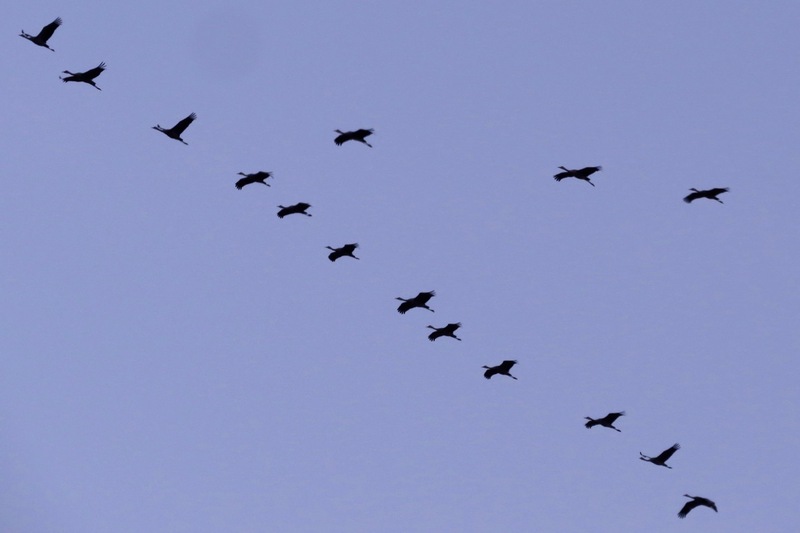 I had much better luck with cranes in flight, which seem to be heading out of the refuge in the morning, probably to feed in surrounding farm fields, and returning in the evening. Here is a typical landscape at sunset. Most of the birds, at least nearby, are American coots (Fulica americana). 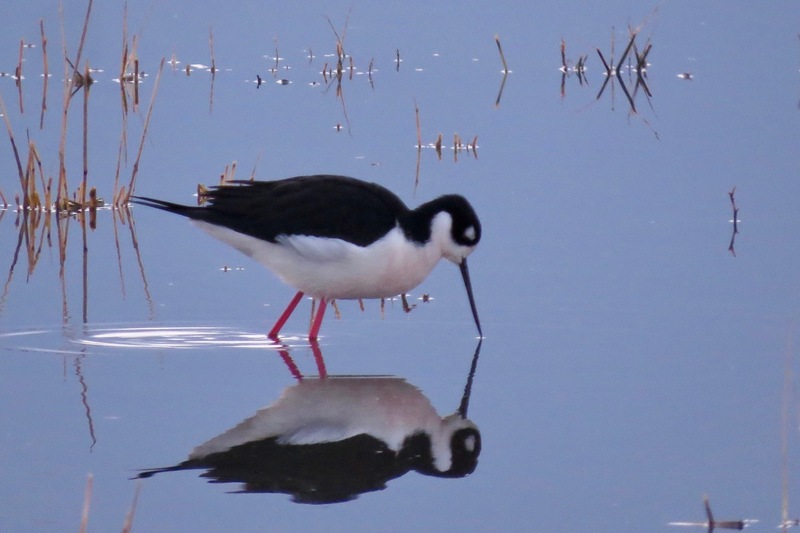 This entry was written by whyevolutionistrue and posted on February 2, 2019 at 7:30 am and filed under birds, photography. Bookmark the permalink. Follow any comments here with the RSS feed for this post. Both comments and trackbacks are currently closed. These give a great feeling like I took them, like it’s a trip I took. The pics could be processed of course, but for example the expressive stature of the apparent red-tailed hawk, it’s eye’s piercing gaze, are excellent. 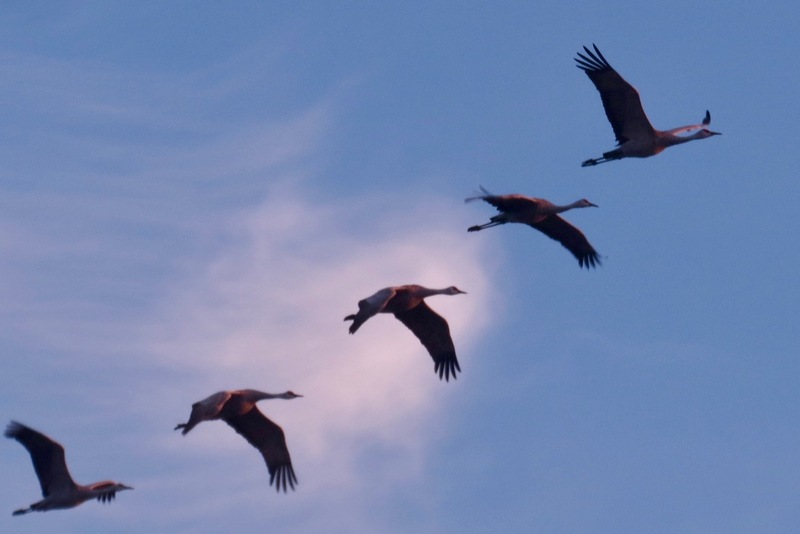 Cranes in flight: hadn’t realised before how thin the neck is – they must have some kind of tendon that holds the neck rigid in flight or that would be exhausting! Perhaps then long necked/tailed sauropod etc dino’s have the same arrangement? Yeah, the extended neck plus a distinctive head shaped make cranes pretty easy to recognize in flight, even with just a quick look. Herons and egrets pull the neck back into a compact “S”. Geese fly with the neck extended, but it is shorter and stockier. Wonderful photographs. I love the reflections in the water. Thank you for sharing. Looks like a wonderful place! Nice photos. Thank you. These are so nice, Joe, thank you. 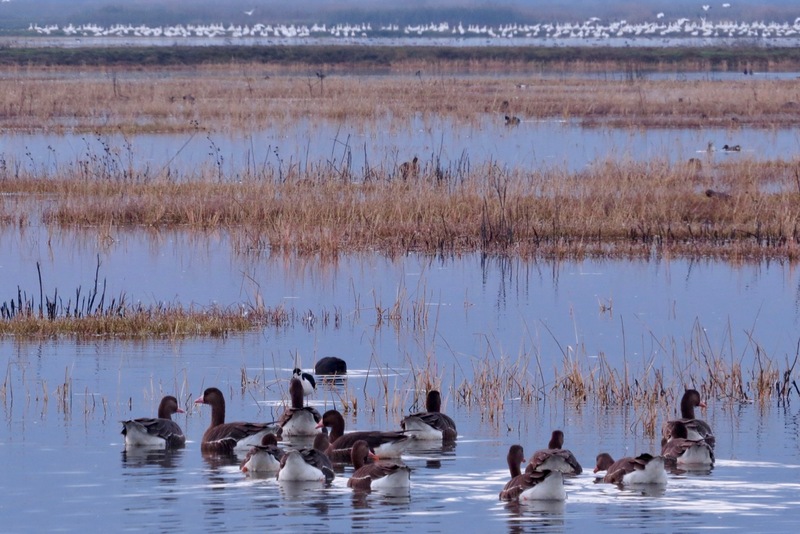 I am going to look into visiting Merced.